ListOnce is a suite of professional tools for the real estate industry with the focus being multiloading with industry leading validation and website powering through APIs that are open for use by third party developers. In addition there are a series of digital marketing products, reports, ad procurement software etc. 100% owned by the Australian real estate industry and with all of the major real estate groups involved, Squiiz provides a simple and fast online real estate search experience. RealestateVIEW was created by WebIT over 10 years ago and we continue to maintain RealestateVIEW which serves over 5,000,000 hits per day, 50+ inbound and outbound data feeds and powers 150+ agency websites using a custom RealestateVIEW search engine. Realestateview operates on a high availability multi server configuration and is the third most visited Australian Real Estate Portal. RealestateVIEW continues to grow on the back of the quality software and infrastructure that WebIT provides. 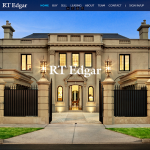 Winner of the Real Estate Institute of Victoria Awards for Excellence as the Best Website of the Year in 2015. Hodges is a ListOnce powered website both designed and developed by WebIT including Content Management system and a lightning fast website. WebIT specialise in corporate projects including highly trafficked websites and database driven online solutions. WebIT expertise covers all areas of online IT requirements and is a one stop IT shop offering the services of software and website development, database services, domain name registration, web hosting, SEO, web design, helpdesk services, IT consultancy and a range of other specialist IT services. This wide range of services allows WebIT to present a quality custom solution to your business that will provide the best technical fit. WebIT provide the complete web development solution from client liaison through to completion of a new website. WebIT provides quality web development to clients with the latest technologies such as best-practice web 2.0 development coding standards and web development methodologies that make the end result easily accessible, user-friendly, functional, secure and optionally accessible through a content management system (CMS). To create a business website, a web designer is required, not a graphic or print designer. Web design is our speciality. WebIT are experts in overcoming the complexities of web design. These include designing for different screen resolutions, different browsers and different operating systems. Even the speed of the website and its SEO ranking is dependent on the website design. Australian based web hosting with servers located within a tier 3.5+ rated data centre, the highest rated data centre in Australia. Servers use Linux and are within a redundant Cisco powered core network and provide a 99.8% uptime guarantee. The web hosting help desk is a professional Australian based setup providing excellent support. Costs are inexpensive and aimed at the professional business. Fast and simple domain name registration. Purchase Australian or Overseas domain names or transfer your domain name from $29.95 a year. Australian based support for domain name enquiries and an automated system to remind you when your Domain name is due for renewal.